One of the most dramatic ways to improve your appearance is to enhance your greatest facial asset – your smile. Using porcelain veneers, Dr. Rubenstein and Dr. Bonaventura have successfully transformed numerous smiles with fabulous results. It is never too late to correct imperfections in the teeth that occur as we age. Conditions such as worn, chipped or discolored teeth are signs of aging that are hard to hide. As a result many resort to hiding their smile or not smiling at all. Having less than perfect teeth affects the confidence level of people at any age. Patients with mild misalignments may find that porcelain veneers can correct the misalignment, thus avoiding costly and time consuming straightening procedures. These conditions and others are now readily corrected permanently using porcelain veneers. 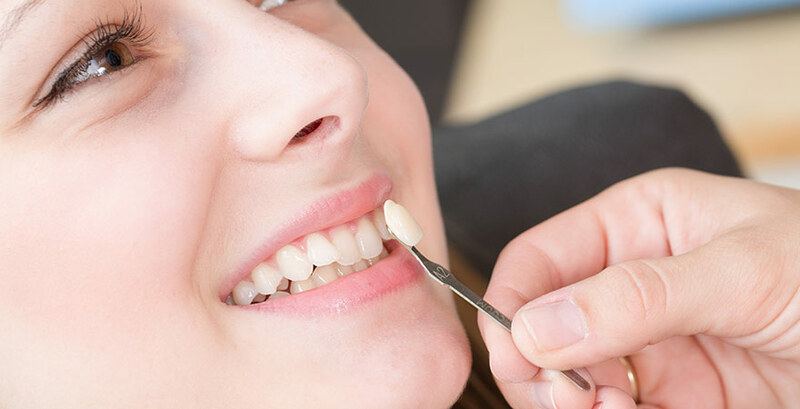 Prior to veneer placement all patients are thoroughly evaluated to ensure any untreated tooth decay, gum disease, active infection are addressed and corrected. Following placement, proper oral care and hygiene will maintain the beautiful smile that the patient has worked hard to obtain. Here at the Rubenstein Dental Group we can evaluate your unique situation and recommend a program designed to give you a refreshed smile that is exactly right for your face. Veneer placement requires both technical skill and artistic sense in order to attain the natural result that patients seek. Dr. Brian Rubenstein and Dr. Christina Bonaventura are perfectionists when performing this delicate work, which is why they enjoy high patient satisfaction feedback. If you would like to schedule an appointment to meet with our doctors and assess whether veneers or other cosmetic dental procedures are right for you, call today. Our staff will schedule an appointment and ensure you have time to meet with our doctors. They will evaluate your needs and help you decide the right course of action for your treatment. Copyright 2019 Rubenstein Dental Group. Web Design by Direct Response Group.